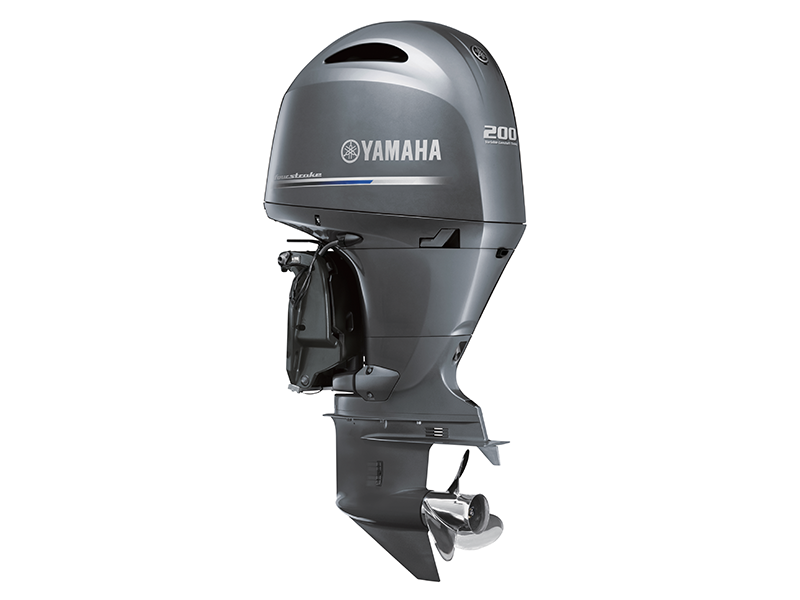 Yamaha’s four-cylinder, four-stroke F200A and F200B are the lightest 200-hp four-stroke outboards on the market. Weighing in at an industry leading 221kg, the F200 in-line 4 cylinder is 50kg lighter than the F200 V6 model it supersedes, which made it the go-to option for boaters looking to replace smaller horsepower or larger V6 outboards for increased performance and efficiency. Sporting a slim-line cowl, the F200A and F200B is ideal for twin engine applications, which in turn can dramatically reduce overall weight on the transom. The F200 outboard engine offers the power of the previous F200 V6, but in a smaller, lighter, smarter and more efficient package. The F200A has the same engine as the F200B, but comes standard with Command Link Plus - Digital Electronic Controls (DEC) and is fully compatible with Yamaha’s ground breaking High-Definition Command Link Display (6Y9), allowing boaters the ability to actively monitor the critical boat systems and performance of multiple outboards all from the one screen. Both models are YCOP® compatible and can be rigged to external NMEA 2000® compatible displays or analogue gauges using a gateway device.